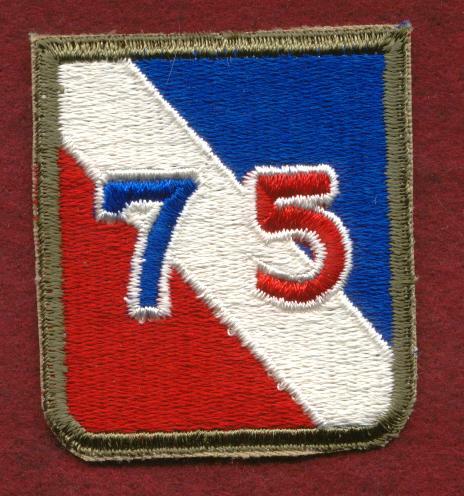 This is a WWII vintage shoulder patch for the 75th Division. The 75th Division was activated on 04-15-43. They participated in the Battle of the Bulge, Colmar and Alsace-Lorraine Regions, and the Rhineland Campaign. The division saw 94 consecutive days in contact with the enemy during WWII. At the end of the war, the 75th Division had lost 817 KIA, 3314 wounded, and 111 died of wounds later. The 75th Division boasted 4 Distinguished Service Cross, 193 Silver Star, 7 Legion of Merit, and 1321 Bronze Star recipients. 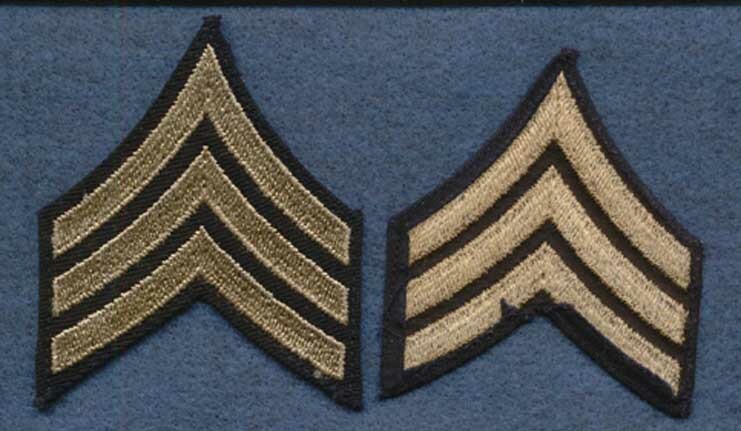 This is a set (2) of Sergeant chevrons from WWII. They are made up of silver thread on a navy blue background. I would say that they are in mint condition. Approximate size is 3 inches by 4 inches. Shown in the photo is the front and reverse. 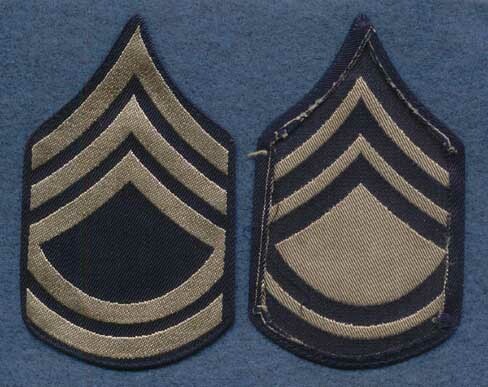 This is a set (2) of Sergeant first class chevrons from WWII. They are made up of silver thread on a navy blue background. I would say that they are in mint condition. Approximate size is 3 1/4 inches by 5 1/4 inches. Shown in the photo is the front and reverse.